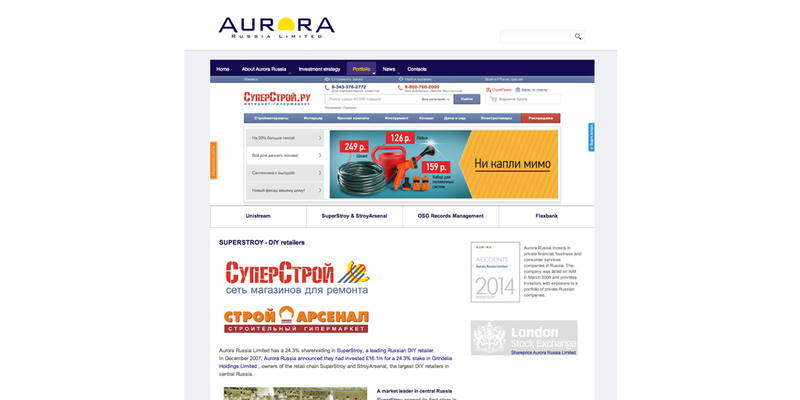 This is the 4th website TAP has built and managed for Aurora Russia since they launched in 2006. 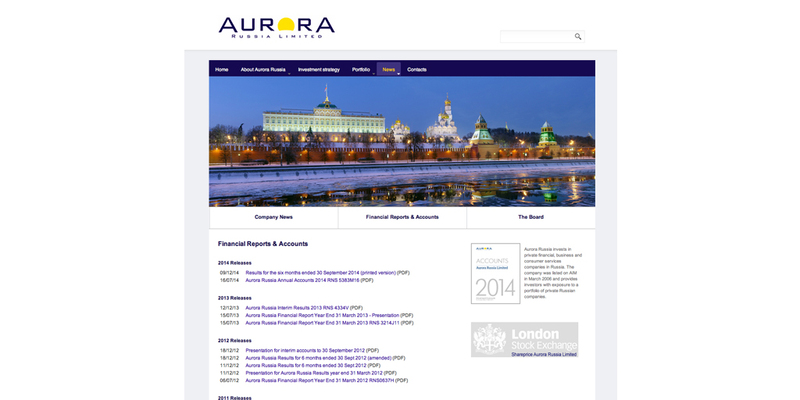 Aurora is an investment fund listed on AIM, part of the London Stock Exchange. 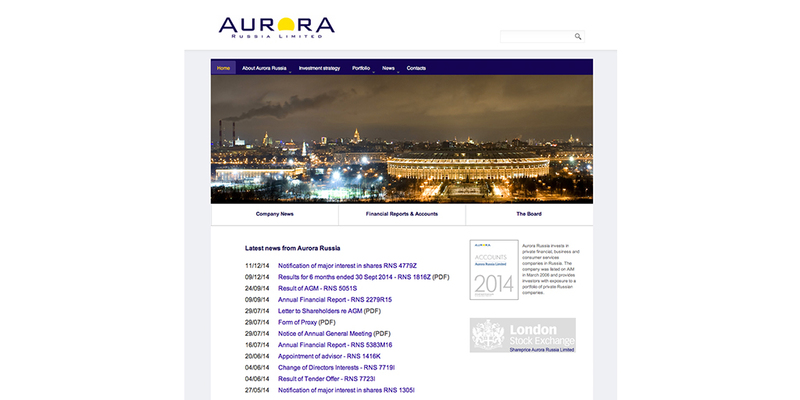 Aurora is obliged to post company information and news. TAP keeps the website compliant with regulations, working with Aurora’s Board of Directors, Kleinwort Benson and and PR advisors FTI Consulting. TAP’s Moscow office handles photography and video of investee companies as needed. 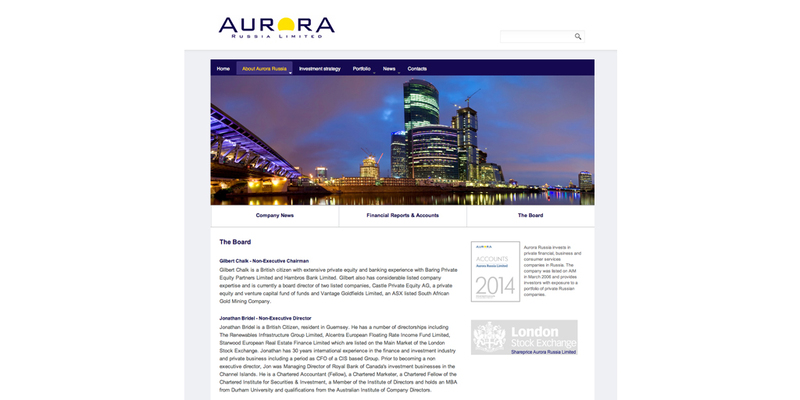 Aurora’s investment advisors have also aske dTAP to advise on Branding for selected investee companies.